Are you considering medical billing and coding schools? Becoming a Medical Coding and Billing Specialist is a great way to help people, work in a professional environment, and advance your career. Medical Coding and Billing is an excellent career path for anybody who may not want to work directly with patients on a clinical level. As a Medical Coding and Billing Specialist, you would manage insurance claims and patient bills. You would discuss cases with doctors, staff, patients, and insurance companies to help ensure payment for applicable services. Checking out Medical Assistant Programs? Becoming a Medical Assistant is a great start to a rewarding career. ACMC’s Medical Assistant training program is ideal for students who have a high school diploma or equivalent and who wish to enter the allied health field. We will fully prepare you to succeed as a Medical Assistant, treating patients, assisting doctors with procedures, performing laboratory tests, and functioning as a crucial member of the team. Our Medical Assisting program features online learning, classroom instruction, and hands-on training in the lab to provide you with a comprehensive education and valuable real-life experience. Add expanded functions, and you’re irreplaceable. Get the training and experience you need to start helping people look and feel better. 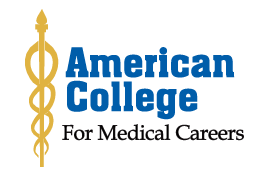 If you are considering dental assistant schools, consider ACMC. Our comprehensive Expanded Function Dental Assistant training program will provide you with the background you need to take on this rewarding new career. Perform advanced dental work, assist dentists with procedures, conduct dental laboratory procedures, and more. This program provides you with a background in dental anatomy, pathology, terminology, and materials, as well as chair-side assisting techniques. Everything from communication skills to reception best practices to office management will also be covered in our Expanded Function Dental Assistant training.